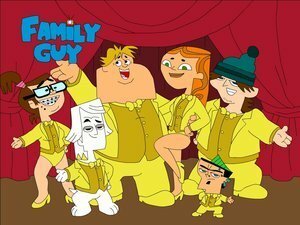 TDI Family guy. . Wallpaper and background images in the Total Drama Island club tagged: tdi total drama island drama duncan rulz total courtney island. lol! Owen as peter! perfect! Izzy as lois! perfect! duncan as stweie! perfect! Beth as meg! perfect! Noah as brian! LOL!